This is the first in a series of posts, that showcases an experience I had, that taught me more than anything, and is something I am very grateful for. This time of the year, you know. There are certain fruits that just about come and go before you get to even taste them. Lychees. Sweet almonds. Strawberries. And cherries. 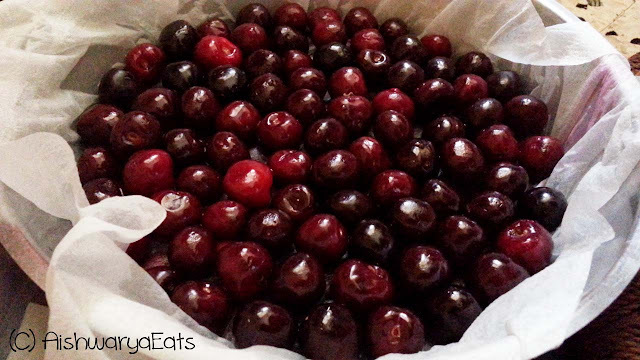 Oh cherries how I love you. That sweet tart ruby red goodness! When I split it to make my cherry jam, my fingers stain with the red juice, and never quite leave my hands till about 10 days later. The precious ruby like gemstones, sweet and sour at the same time, bursting with juices that just crave to be popped in the mouth! 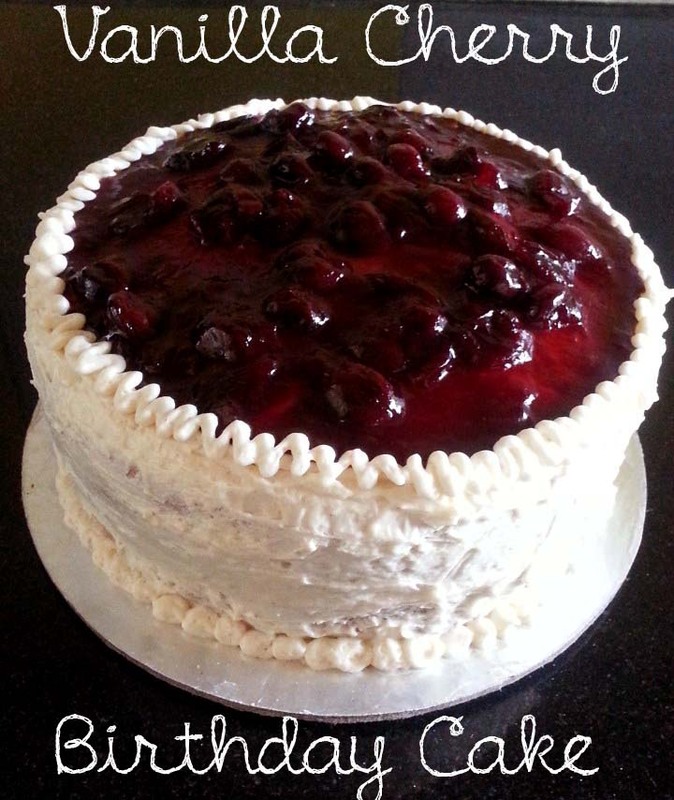 So when a colleague asked for a birthday cake for his wonderful wife, specifically simple and fresh, the only (and winning) combination that came to my mind was a Two-tiered Vanilla cake, frosted with Vanilla Buttercream, filled with Buttercream and fresh Macerated Cherries and topped with Home-made Cherry Compote. The cake was soft, buttery, fluffy yet squidgy. The cherry compote was sweet, jammy and cinnamony. The buttercream was beyond light, totally not oily, and just a hint of sweet, unlike store bought frosting, where sugar is all there is. I realized, even though it may become expensive, it is more than worth using the real stuff, no substitutions (in some cases). It shines through, and makes your product so so much better. As promised, first #1: This was my first time ever making buttercream, or any kind of frosting whatsoever. I am too afraid to venture into that direction. Not anymore. I am so in love with buttercream, that it took all I could to not start having it with a spoon before I frosted it. And it's so easy-peasy! First #2: I do not know how to do the lifelike piping work that so many of my more experienced (and patient) home-baker friends do on their cakes. On this cake, I did it. I did piping work! Can you believe that? I still don't! And first #3: I separated eggs. With my own hands. Something I NEVER thought I'd do. First time for everything folks! It is a huge difference between baking for family, and baking for someone, who had requested for my creation to be a part of their celebration. It's a huge responsibility, and I take this space to thank him very earnestly for this, for giving a fledgling home-baker a chance. Your trust means a lot, and am thankful for it! So how do we go about this? I'll tell you about the components and my experience in chronological order. Whatever should be made first and kept ready, shall come first. So this is about the Cherry Compote, step #1. A syrupy, yet not so liquid, almost jammy spread of cherries in their juices. This goes as the topping to the cake, on the frosting. It is cinnamony, and adds a lovely fruit preserve feel to the cake. It makes you feel, "I'm having fruits, so I can have an extra bit of cake. Yeah." Combine the water and the sugar. Bring to a simmer, stir till sugar dissolves. Add the cherries and the lemon juice. 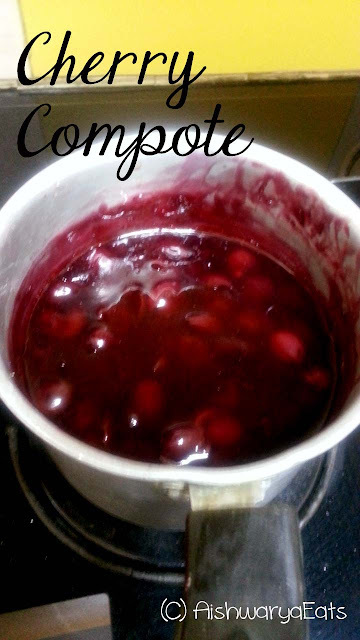 Bring the liquid to a simmer till the cherries are tender. Tip in the cinnamon and mix. Stir together 2 Tbsp water and the cornstarch together. Mix this into the cherry mix and stir till the mix is thick and jelly-like. This is a fast process. Once done, put into a glass bowl and let cool. Refrigerate till it is to be used. This is the topping for the cake, and the first step in assembling this cake. 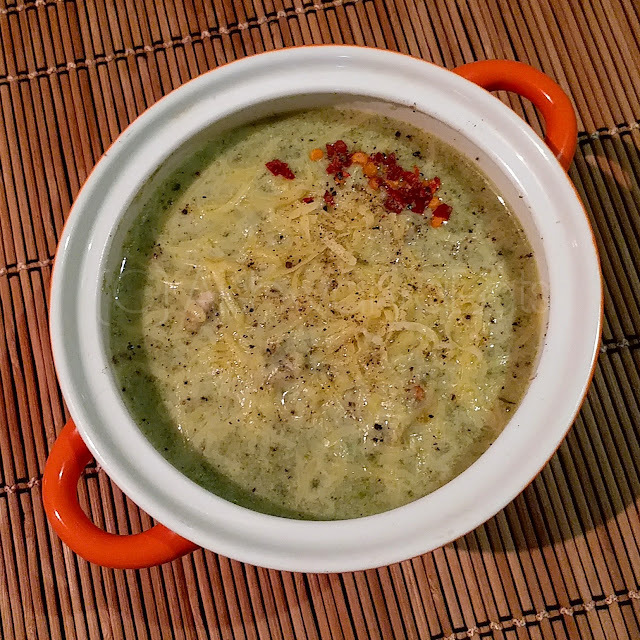 It can be made easily a week in advance, but needs to be kept in the fridge till it has to be used. You can use this as a good spread for toast as well. Next up: The Vanilla Cake! Well done Aish...what a beautiful cake. Waiting for next up! Deeba: For this to come from you, it means the world! Thank you so very much! Oh my goodness!! He was quite right to put his faith in your baking!! That looks outstanding! How come you food bloggers don't have Pin It buttons? These images can go viral on Pinterest?! Roshni is so right! And they will go viral. Amazing cake! 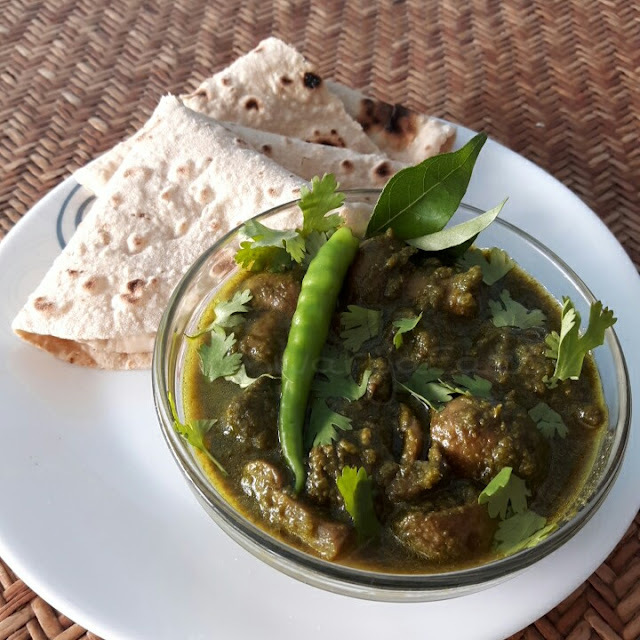 Swapna: And it was yummy! So much so that when he got it a bit of it the next day, I got a tiny slice of it, and it was fantastic!! Thanks for reading!